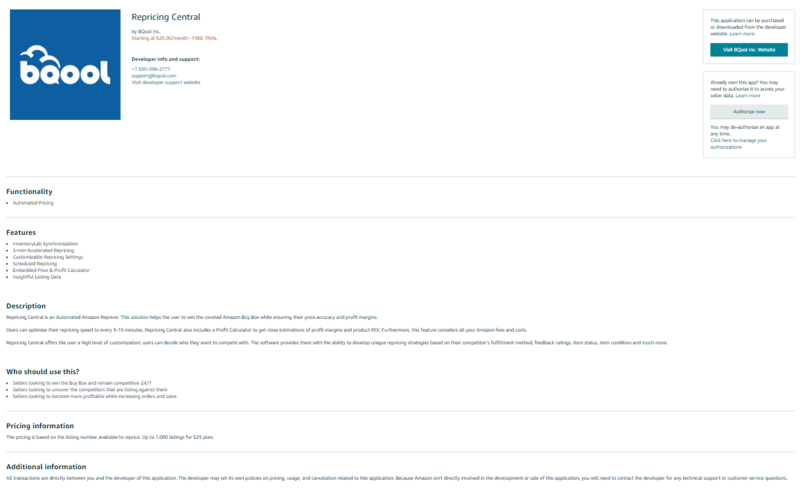 BQool is excited to announce that Repricing Central is now available on the Amazon Marketplace Appstore. Repricing Central is an Automated Amazon Repricer which may help the user win the coveted Amazon Buy Box while ensuring their price accuracy and profit margins. Users can optimize their repricing speed to every 5-15 minutes. Repricing Central also includes a Profit Calculator to get close estimations of profit margins and product ROI. Furthermore, this feature also takes Amazon’s fees and costs into consideration. Repricing Central offers the user a high level of customization: users can decide which competitors they want to match their price against. The software provides users with the ability to develop unique repricing strategies based on their competitor’s fulfillment method, feedback ratings, item status, item condition and much more. 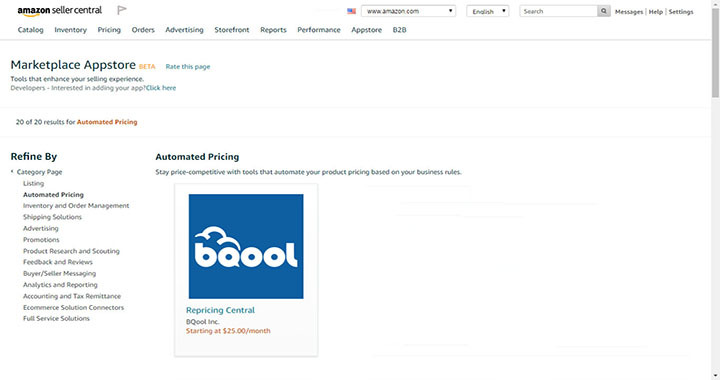 The Marketplace Appstore is a one-stop-shop where the small and medium-sized businesses that sell on Amazon can more easily discover quality applications to help them automate, manage and grow their business. Accessible from Seller Central, the Marketplace Appstore features applications created by Amazon and external developers and covers a range of functionalities across the selling lifecycle.